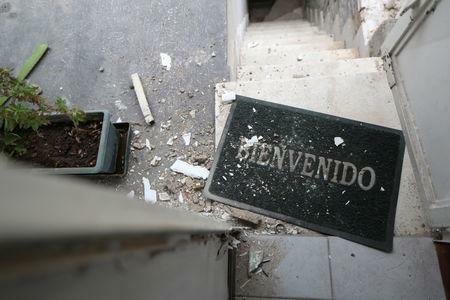 WASHINGTON (Reuters) - The United States imposed sanctions on Venezuela's development bank, Bandes, a day after the Trump administration warned there would be consequences for the arrest by Venezuelan authorities of opposition leader Juan Guaido's top aide. The U.S. Treasury said on Friday it was slapping the sanctions on Banco de Desarrollo Economico y Social de Venezuela, including its subsidiaries in Uruguay and Bolivia. The U.S. Treasury said Maduro tried to move $1 billion (£757.2 million) out of Venezuela through Banco Bandes Uruguay in early 2019 as he came under increasing pressure from the United States and other countries in the region to step down. The sanctions freeze assets belonging to the bank and its subsidiaries, and prevent U.S. citizens from any dealings with Bandes. They follow a raft of other sanctions imposed by the administration of U.S. President Donald Trump in recent months against Maduro, top government officials, and state oil firm PDVSA. 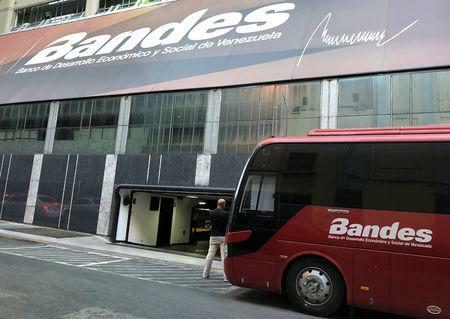 Trump's national security adviser John Bolton tweeted: "BANDES bank is to Venezuela's financial sector what PDVSA is to its oil sector. This action will severely affect any attempted currency movements by Maduro and his cronies moving forward. Do not test the resolve of this Administration." Maduro's government accuses Washington of waging a "economic war" to force them from power and has said that the sanctions only harm regular Venezuelans. The United States also on Friday imposed sanctions on other state-owned Venezuelan banks, including Banco de Venezuela and Banco Bicentenario. It said that Visa, Mastercard and American Express would be prohibited from facilitating transactions involving those banks, beginning in March 2020.